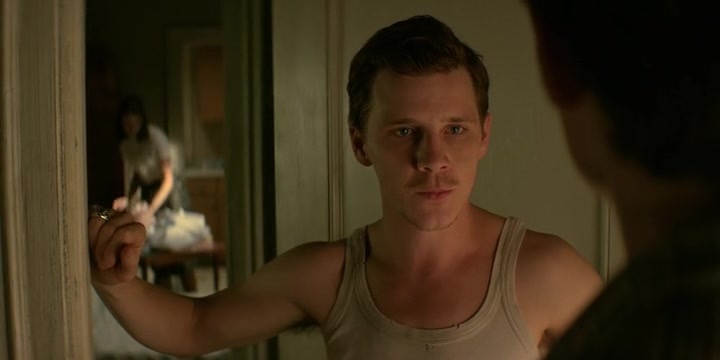 In the sixth episode of 11.22.63, Billy (George Mackay) and Jake (James Franco) have found themselves at odds with one another, thanks to Billy becoming a close friend with Lee Harvey Oswald (Daniel Webber.) Believing that his interference with the past has already changed the future, Billy no longer wishes to shoot and kill Oswald since Billy considers him a better friend to him than Jake has been in their three years together. However, once Oswald discovers the tap wires Jake and Billy placed in his apartment years ago, Lee’s already destructive behavior begins taking a turn for the worse, prompting Epping to speed up his sleuthing into whether Lee acted alone or not. However, Billy just might have a hand in trying to stop him. There are a good chunk of tension filled moments where we clearly see the past trying to push Jake out, whether it be through Billy’s actions or Jake’s own relationship with Sadie. There is an explosion between the two, thanks to the shortcomings of Billy in not only previous episodes but also the choices he has begun making with interfering in Lee’s life. The episode’s best moments stem from Franco and Mackay’s performances with one another, and it feels so tensely nerve-wracking to see them falling apart with one another. There also exists an ultimate betrayal towards the climax that, while believable and likely necessary, will definitely leave viewers wondering where things will go from here. The only real downside to this week’s show is that, while Billy and Jake’s animosity between one another builds really well to the climactic breaking point, the introduction to said animosity is a bit forced. This episode takes place six months after the events of last week’s chapter, so we’re expected to believe a lot has happened in between those six months to cause this break in friendship. It just would have been nicer to see said events leading up to this boiling point. 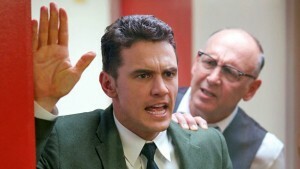 Nevertheless, “Happy Birthday, Lee Harvey Oswald” continues the streak of great episodes for 11.22.63. With only two more episodes left before the miniseries is over, it is a breath of fresh air to see this week’s plot building up to the infamous moment of JFK’s death, while also giving some great twists and turns to keep us invested. With a few familiar faces popping back in from previous chapters, we can only imagine what the creators have in store for us next week, and I can’t wait to see how it all comes to an end. Next ArticleTosche Station Episode 4: Young Han Solo shortlist and Episode 8 set leaks!